This replacement deep seating cushion for patio furnishings is covered in 100% polyester fabric, which has been treated to be water repellent, mildew resistant and easy to care for. Breathe new life into your outdoor chairs and furniture by adding this High Back Cushion, to bring a pop of colour to your entertaining area. The cushion is fade and stain-resistant and provides padded support as you rest. This bright colour keeps your patio furniture looking new each season. Use this as an instant pick me up to your backyard decor- this classic colour is given new depth with a subtly pebbled texture. Easy to clean, this richly hued fabric will look good with any decor or paired with a patterned pillow in a matching shade. Outdoor Deep Seating Cushion in Geometric Pattern This replacement deep seating cushion for patio furnishings is covered in 100% polyester fabric, which has been treated to be water repellent, mildew resistant and easy to care for. 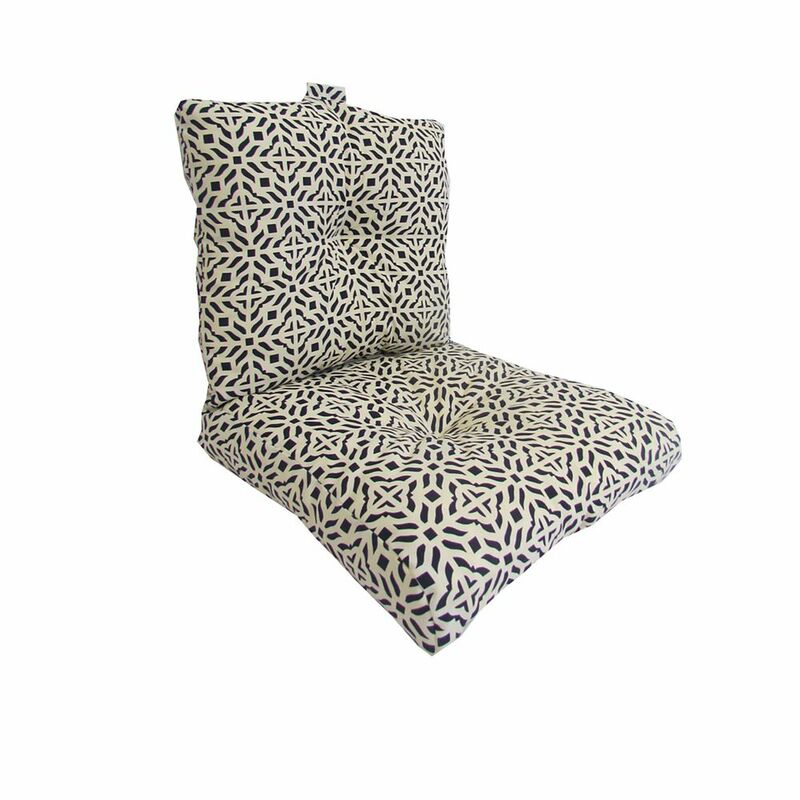 Outdoor Deep Seating Cushion in Geometric Pattern is rated 5.0 out of 5 by 1. Rated 5 out of 5 by willow from Replacement Outdoor Funiture Cushions These cushions are really pretty, very bright. They aren't exactly the same as the original ones that came on the outdoor furniture, but fit well and look really nice. The complete size of the cushion is 24 x 48 x 5&rdquo;. The width is 24&rdquo;. The height is 5&rdquo;. The size of the seat is 25&rdquo;, the back is 23&rdquo; (total 48&rdquo;).